New 2nd Edition, Great new price! 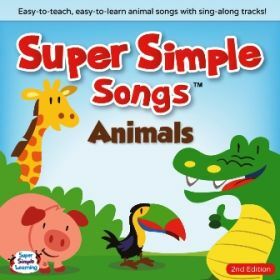 These CDs use themes that are naturally interesting to children to introduce useful, easy-to-understand English. Each CD includes 12 songs and 12 sing-along tracks great for use at home, in the classroom, and in school performances. Please note: these CDs do not include printable materials. Support materials (printable flashcards, worksheets, and more) are now available for easy access online.